Why Hiring a Licensed Roofer is a Wise Choice. 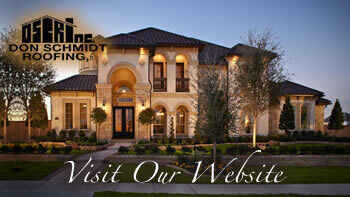 Home » Don Schmidt Roofing Blog » Why Hiring a Licensed Roofer is a Wise Choice. Sooner or later you will need a roof repair, or a roof replaced, so you may be looking for a cheap deal. There are many unlicensed roofers that can offer cheap work. However, paying less for your roof doesn’t mean you’re getting a great deal in the end. Here are some reasons why hiring a licensed roofer is the only wise choice. A licensed roofer carries insurance that protects the property owner. Should someone wreck your house/commercial building or even hurt themselves while working on your roof, the property owner is not liable for the costs. A written contract between the propriety owner and a licensed roofer means there will be no surprise bills for you, and there is a written timeline for when the repairs or installation will be finished. So, hire a professional who know what they are doing. We can save you plenty of time and money, protect your home as well.